Good Luck to Royal Delta! 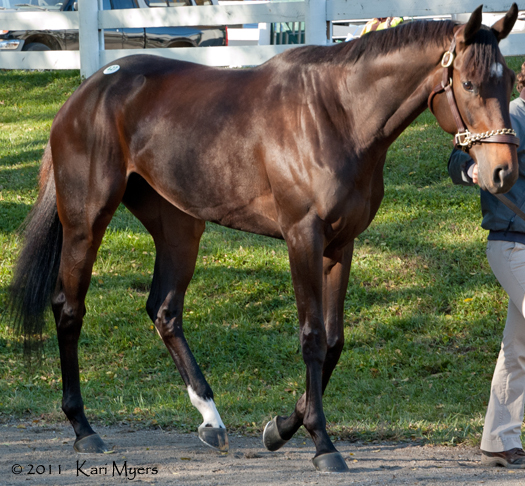 November 7, 2011: Royal Delta at the Keeneland November sale. Royal Delta, the 2011 Champion Three Year Old Filly and 2012 Champion Older Female, is on track to ship out sometime in the next week for a second try in the $10 million Dubai World Cup (run on March 30). Here’s hoping she has better racing luck this year! Royal Delta won the last two runnings of the Breeders’ Cup Ladies Classic, along with several other graded stakes throughout her career. The images shown here are from the 2011 Keeneland November sale, which was held two days after her first Breeders’ Cup win. 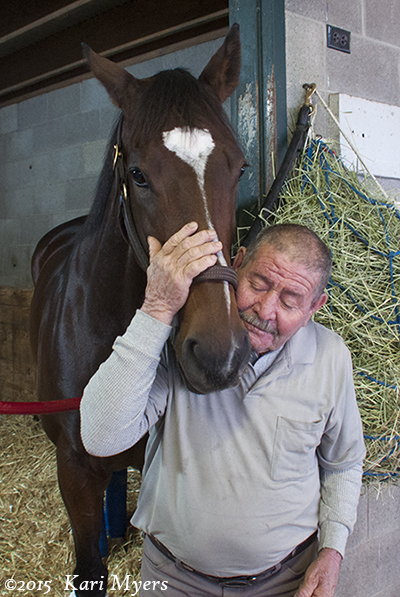 One day later she sold for a whopping $8.5 million to Benjamin Leon’s Besilu Stables. I can’t thank him enough for keeping her in training at age 5, which is a rare treat for such an expensive purchase! Her dam, Delta Princess, was sold at the same sale to Adena Springs for $2.6 million in foal to Distorted Humor. While at the sale, I also got a look at Royal Delta’s baby sister by Smart Strike, who is now named Crown Queen. The entire family is absolutely stunning! I have my friend Jennifer to thank for introducing me to the wonderful world of walking the sales barns and watching the bidding from the walking ring. These sales are one of the most wonderful ways to see some truly amazing horses, and it’s exciting to see the bids jump up to outrageous amounts on some of these horses. I always end up running into friends at these events, which makes me wish I could live closer and attend them more frequently than I currently do. I’ve also had the most fantastic conversations with total strangers, which reinforces my belief that horses really are a tie that binds. I could talk horses for days at a time. Ah well, at least I make the most of every visit I can manage! You should see the schedules we put together for Kentucky trips. There’s barely time for eating and sleeping, and that’s no exaggeration. November 7, 2011: Royal Delta is shown to perspective buyers at the Keeneland sales barns. 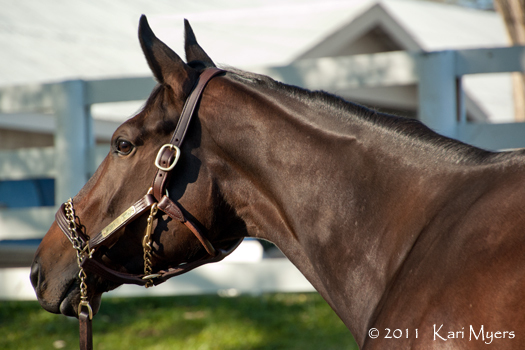 November 7, 2011: Royal Delta’s dam, Delta Princess, is just as big and lovely as you’d expect. There is a very definite family resemblance.